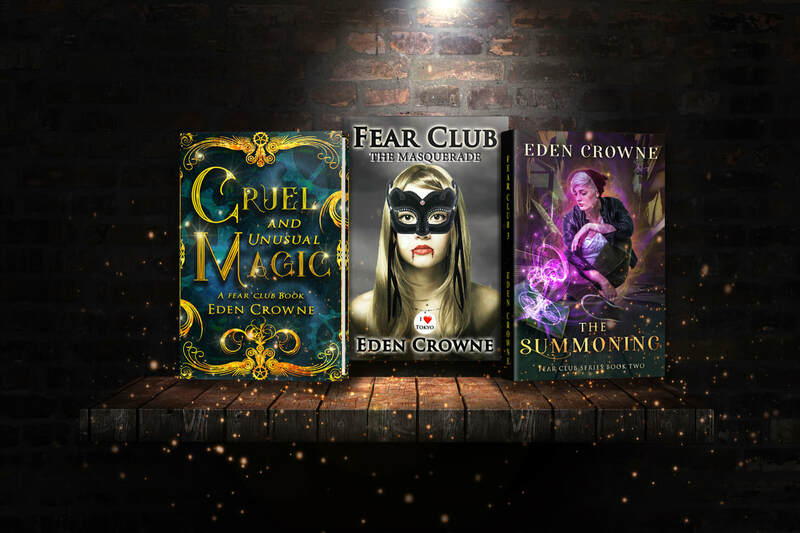 The Fear Club series, including the Fear Club prequel, Cruel and Unusual Magic. Cruel and Unusual Magic, In this prequel to the Fear Club series, runaway Soul Eater Julian Lake and his deranged werecat team up with a drug-dealing Faerie Vampire and a heartsick Shinigami Reaper for a Japanese gangster demon. there's going to be trouble. Fear Club Books 1&2: Betrayed and left for dead, her soul divided into three pieces as prizes in an occult lottery, Lexie Carpenter is resurrected by a young sorcerer, Julian Lake. How ironic that he is a monster as well and may want to kill her himself. Death has only been postponed if they can't put this broken girl back together. ​Cruel and Unusual Magic; Fear Club: The Masquerade; Fear Club 2: The Summoning.